An Aberdeen bar is set to raise a toast and call last orders earlier than expected as renovation work continues to advance. No.10 Bar & Restaurant, which unveiled its significant expansion plans at the start of the month has announced they will close a week early in order to progress its major refurbishment. As part of the early closure, the directors will host an ‘End of Era’ party on Saturday 25 July, and will bring a touch of the 80s back for the evening. 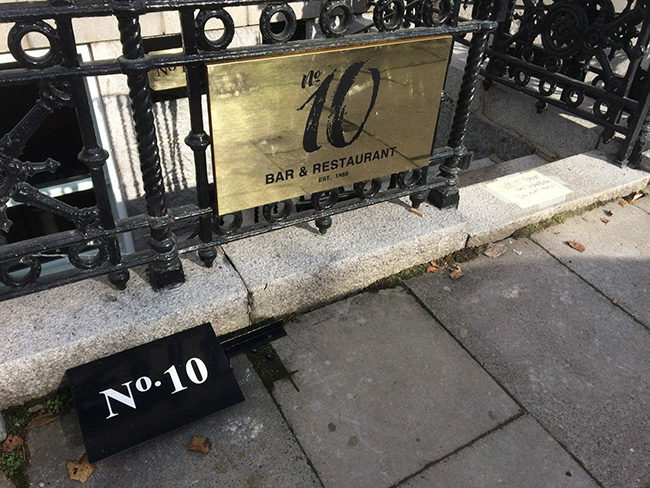 Director of No.10 Bar & Restaurant, Allan Henderson, said: “Since we first announced our plans, work has progressed quickly so we have decided to close No.10 slightly earlier than expected as it will assist us to launch new look No.10 sooner than initially planned. Customers are invited to join the ‘End of Era’ party next Saturday (25 July) from 5pm onwards and the directors have asked anyone with old photos of the venue to bring them along on the night. The restaurant is still recruiting for various positions. For more information, please email your CV to jillian@no10aberdeen.co.uk.